I like those packages! 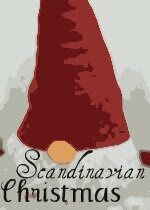 Maybe because I'm a Finn but also because they look quite cool... and very Scandinavian too :)!!! Happy Christmas! And greetings from the arctic Finland :)! I just popped over from Nest full of Eggs, I am so sorry I missed this series. I visited Norway and Iceland this past summer and brought back so much ribbon. I am your newest follower. Happy New Year and a belated God Jul.